Flooring Contractor New Jersey: Should You Replace Your Floors? It’s not always easy to tell when the time has come to upgrade your floors. Sign #6. Your carpet is past its expiration date. Sign #7. Water has seeped below your tile floors. Grout is a very important part of tile floors; it’s what makes tile impervious to moisture, and it’s why tile is such a great flooring option for bathrooms and kitchens. But, if the grout becomes compromised, and it’s not addressed promptly, it will allow water to seep down below the tiles, where it will loosen the tiles and allow mold and mildew to grow. This also creates the perfect conditions for termites and other insects that can do major, structural damage to your home. Damaged grout is no big deal if you repair it early enough, but if you wait until the damage reaches the subfloors, there’s a good chance that you’ll need to replace the entire floor. Sign #8. Your hardwood floors cannot be sanded down again. Refinishing your hardwood floors is like pushing a magic, refresh button, and it’s one of the biggest advantages of having hardwood floors in the first place. 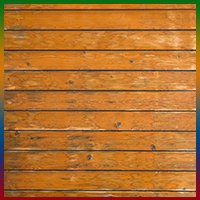 But, refinishing is not something you can do an indefinite number of times, and if your floors have been refinished over and over again, eventually, there won’t be enough “meat” left of them to safely refinish them again. When that time comes, you have to decide whether you want to live with damaged floors or get them replaced. Sign #9. You don’t have the right match for a portion that needs to be replaced. In many cases, when issues occur, you can simply replace the problematic part of your floor without having to replace the entire thing. But, unfortunately, this can only be done if you can actually find a match for your existing floor. The fact of the matter is that mismatched flooring will do nothing for the look of your home, nor for your property value. So, if a portion of your floor needs to be replaced and you can’t find a match, your best bet is to have the entire floor replaced. Sign #10. Your floor has been creaking. When you walk on your floor, do you hear a creaking noise? Many times, people just chock up creaky floors to old homes — or sometimes ghosts — but in reality, a creaky floor may be a sign of something even more sinister. In some cases, a creaky floor means that there’s an issue with the subflooring, and it needs to be replaced. Creaking could also indicate that the staples, nails or glue that was used to bind your floors has come loose. Turn to the professionals at Floor Expo when the time comes to replace your floors. 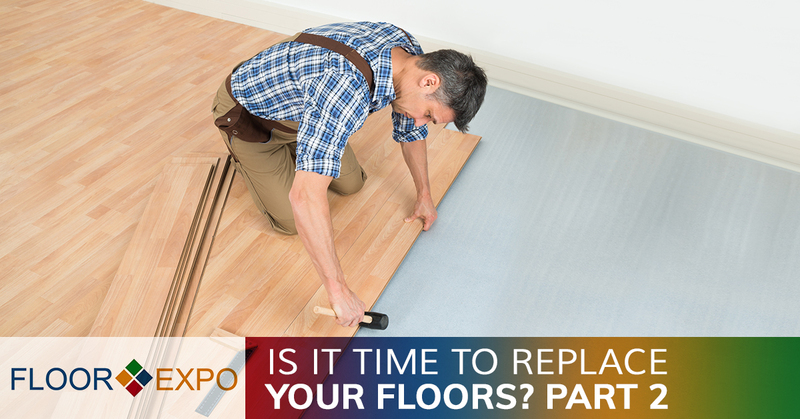 When the time comes to replace the flooring in your home, turn to the experts at Floor Expo. We’ve been in the flooring business for more than 30 years, and we offer a wide selection of tile, vinyl, hardwood, laminate, carpet and more. Check out our inventory for yourself when you stop by our flooring showroom in Fairfield or contact us today to schedule your free design consultation.